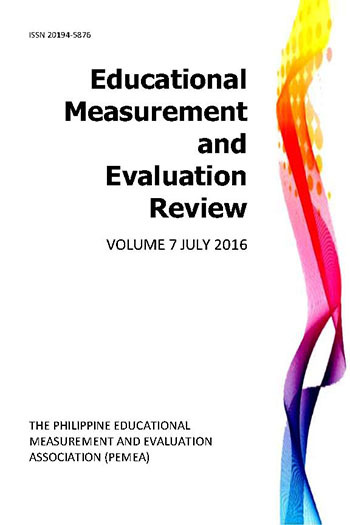 The Educational Measurement and Evaluation Review (EMEReview) is the official publication of the Philippine Educational Measurement and Evaluation Association (PEMEA). It is international, refereed, and abstracted/ indexed. 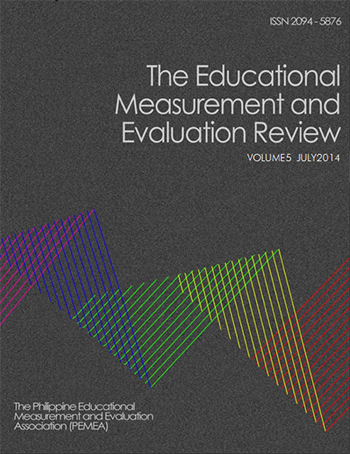 The EMEReview publishes scholarly reports about contemporary theories and practices in the field of education and social science that highlights measurement, assessment, and evaluation. 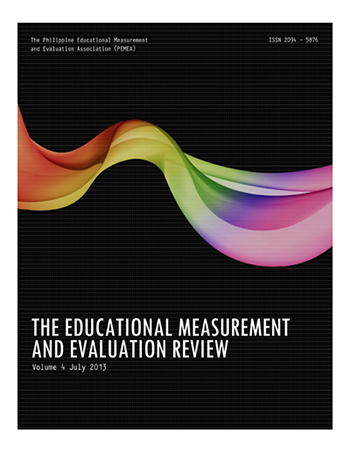 It welcomes articles that are about test and scale development, quantitative models of a construct, evaluation studies, best practices in evaluation, issues and policies on assessment, contemporary approaches in educational and psychological measurement, and other studies with direct implication to assessment in education, social science, and related fields. 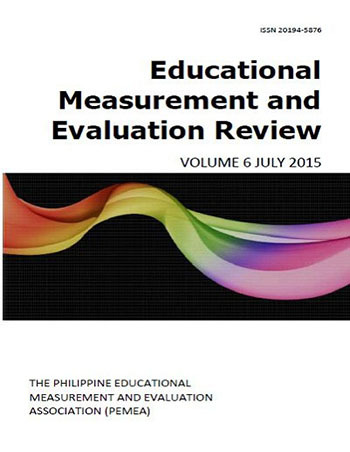 Emereview is indexed/abstracted in the Asian Education Index, Social Science Research Network, Google Scholar, Open J-Gate, and NewJour.